The answer is, there is no magic number for what your stroke rate should be on the indoor rower, but different approaches to stroke rate can result in different training effects from your rowing workout. 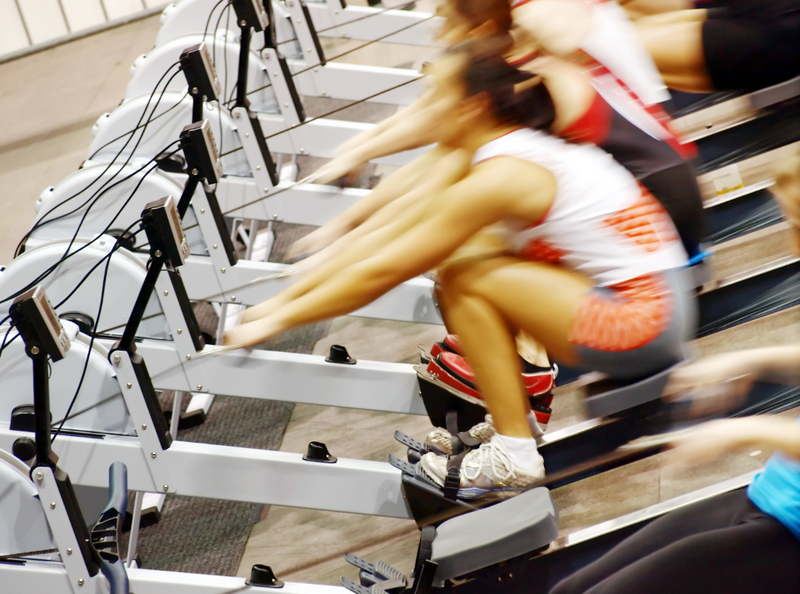 To help make sense of it all, we have broken down stroke rate into three distinct zones that, with proper rowing technique, can help you achieve the results you are looking for in your Indoor Rowing workout. Ratings in this range are considered low, and useful for strength-based workouts. When rating in this range it is important that the effort is still made to accelerate the leg drive, with rest on the recovery providing the time between each stroke, resulting in the low rating. It may be that you choose to increase your drag-factor to target the lower ratings and focus on strength, but your approach to the drive- strong and accelerating- should remain the same. While you will still gain aerobic fitness from training at these lower rates, if training specifically for strength, it can be useful to approach low-rate workouts more like you would reps in the weight room. Try training in 5min intervals with 2 mins rest in between, with a concentrated effort on maintaining good technique. If you are training on a higher resistance than normal, this approach will help make sure you maintain your form, and avoid faults in technique that could lead to injury at high resistance. Training Guideline: If training for strength try 2-3 sets of 5 mins on/2 mins off, always warm up and warm down at your normal training resistance and at a more fluid rating (inside the aerobic zone below). Proper technique is the key to achieving a range of different stroke rates. Ratings in this range are typical of aerobic training, where improving cardiovascular fitness is the goal of the workout. Training at these ratings should allow you to continue rowing consistently for 20mins or more, with the upper end of the range touching on your high intensity zone. This is quite a wide rating range, and where you feel comfortable will often depend on your technique. With good technique, you should be able to find a rhythm at any of the ratings in this range- a good challenge if you are seeking technical proficiency! If you are struggling to hit the lower ratings in this range, try to concentrate on driving through the stroke, and take your time on the recovery, allowing the arms and the body to move first followed by the legs (the exact opposite of the drive phase). If you have the opposite problem and find it difficult to rate higher, focus on moving the hands quickly out of the finish of the stroke to help keep the recovery fluid. Training Guideline: Changing up the rating within this zone can be a great way to keep an aerobic workout interesting and test your technical ability on the indoor rower. Try a pyramid style workout of 5mins @18SPM, 4min@20SPM, 3min@22SPM, 2min@24SPM, 1min@26SPM and back down again! Note- For the purpose of this article, we assume the drag factor is set at New Zealand testing standards of 130 for Men, and 110 for Women. Variations in drag factor can result in variations in rating (see below for drag factor setting instructions). With proper technique, this rating range sees the intensity of your session increase to the top end of your aerobic capability and into your anaerobic zone. Put simply, ratings within this zone are perfect for high intensity interval training, and a good place to start if you are thinking about competing in events over 2km or even 5km. Some of the best Indoor Rowers will race the middle of the 2000m up at 38SPM, but this is highly variable and will depend on an individual’s preference. To achieve these higher ratings, it is important to drive the speed through the legs, holding a full length of stroke. The recovery phase needs to remain in order- arms, body, legs- while remaining fluid and responsive. You will need a strong technical proficiency in order to retain proper stroke patterning on the drive and recovery at these higher ratings. If you are rowing well, you should notice a steady drop (quickening) in your splits as you bring the rating up, to the point where you reach your physical limit. If you are continuing to increase the stroke rate, but your splits aren’t changing, this is a good que to bring the focus back to your rowing technique. Training Guideline: Try the higher ratings in small increments to begin with, focusing on maintaining good technique. Intervals of 1min on/1min off x 8 are a good place to start, starting with the first 1min on @27SPM, increasing over the eight intervals to a peak rating of 35SPM. Row on the machine at your normal intensity, your drag factor will display on the screen. Adjust the flywheel resistance up or down to achieve desired drag factor.